Please use the contact information supplied at every pool profile to check if they're offering aquagym lessons, due to the fact is not so common to find out an Aquagym in Cyprus. 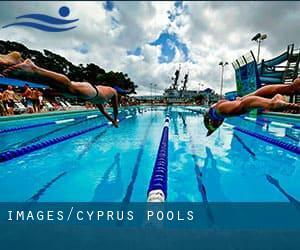 Most of the Cyprus Pools present both open lanes for independent swimming and also guided activities like water aerobics or Aquabike. Do you realize of any Pools in Cyprus that should be listed here? Contact us!. For Cyprus and its vicinity, we're showing you all the registered pools, some of them have no GPS coordinates and can't be found on the map at the map. Swimming is a sport for all ages. It helps young persons to tone their muscles and grow healthy and strong. For the elderly, there's no superior technique to exercise than discovering a Cyprus Swimming Pool to escape from day-to-day routine. Not all countries are the very same, and swimming rules and regulations are changing from one country towards the other. So, if this is your first time searching for Cyprus Pools, be sure to call the premises before you drop by. Enjoy the best indoor pools in Cyprus and don't worry about the weather. These facilities are open all seasons and you can enjoy a swim at the same temperature every day of the year. There are several causes why you must choose a heated swimming pool in Cyprus. Probably the most significant one relies on the importance of keeping the body temperature stable. When the water is too cold, your body will try to warm it up and you will lose strength to swim properly. One of the advantages of outdoor swimming in Cyprus is the possibility to sunbathe during the summer season. Taking it with additional care, sunbathing is healthy given that introduces Vitamin D into the body, so the ideal selection seems to be switching amongst indoor and outdoor pools depending on the season. Whereas Limassol is one of the six most populous cities in Cyprus with almost 154.000 residents, you shouldn't miss that one if you're going to Cyprus. Without a shadow of a doubt, swimming in Nicosia is the perfect technique to unwind right after function. 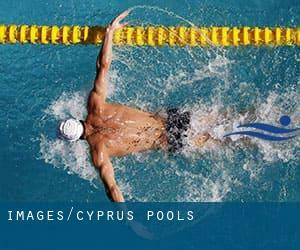 Take a couple of minutes to browse Swimia's catalog to find a Swimming Pool in Nicosia. Let us tell you a secret to switch off even though you are in Larnaca: just choose a Pool in Larnaca and plunge into the water! There's no more useful system. It's hard to visit Cyprus without having dropping by Famagusta (with 42.526 residents). Currently Swimia is showing you all of the Swimming Pool in Famagusta and the closest pools located in its vicinity. Updated on 2019 Dikmen Yolu , Nicosia (Lefkosia) (Postal Code: Unknown). Among all the activities supplied by the centre, should you be interested in swimming you can expect to delight in Olympic size x 21 meters, Indoors. Just in case you need to contact this Swimming Pool before dropping by, we only know the phone number. Kremmastis Rd. , Episkopi (Postal Code: CY-4620). This sports centre delivers 25 meters, 5 lanes, Indoors. Contact information for this Pool such as phone number and email address are number. Poseidon Avenue , Paphos (Pafos) (Postal Code: CY-8102). Among all of the activities offered by the centre, should you be interested in swimming you will enjoy 18 meters x 6 meters, 1.5 meters depth, 1.5 meters depth, Indoors. If you'll want to contact this Swimming Pool, e-mail address and phone number are both number. Germasogia Street , Limassol (Lemesos) (Postal Code: Unknown). Swimmers like you reported Olympic size x 21 meters, 8 lanes, Outdoors. Unfortunately we do not have the email address of this Pool, but we can give you the phone number. 108 Griva Dhigeni Avenue , Limassol (Lemesos) (Postal Code: CY-3101). Swimmers like you reported 20 meters, 5 lanes, Indoors. Unfortunately we do not have the email address of this Swimming Pool, but we can provide you with the phone number. Coral Bay , Paphos (Pafos) (Postal Code: CY-8099). Among all the activities offered by the centre, for anybody who is enthusiastic about swimming you will enjoy Olympic size x 25 meters, 10 lanes, 2 meters depth, 2 meters depth, Outdoors. If you have to contact this Swimming Pool, email address and phone number are both number. 27, 28th October Str. , Acropolis , Nicosia (Lefkosia) (Postal Code: Unknown). Among all the activities provided by the centre, if you are considering swimming you will delight in 25 meters, 6 lanes, Indoors. If you need to make contact with this Pool, email address and phone number are both number. 79 Agiou Georgiou Str. , Ipsonas (Postal Code: CY-4180). This sports centre offers 25 meters, Indoors. For this Swimming Pool, only phone number is number here. Dhekelia Road , Larnaca (Postal Code: Unknown). Among all the activities offered by the centre, for anybody who is keen on swimming you will appreciate 25 meters x 18 meters, 8 lanes, Outdoors. Updated on 2019 4 Loukis Akritas Avenue , Ayios Andreas , Nicosia (Lefkosia) (Postal Code: Unknown). Few days ago a common user of this centre told us they offer Olympic size x 21 meters, 8 lanes, Outdoors. Furthermore, they keep in good conditions 23 meters x 21 meters diving pool, Outdoors. For this Pool, only phone number is number here. Amathus Avenue , Amathus Area , Limassol (Lemesos) (Postal Code: CY-3606). Swimmers like you have reported 25 meters x 12 meters, Outdoors. Also, you will find 20 meters x 6.5 meters, uniform 1.4 meters depth, uniform 1.4 meters depth, Indoors. Just in case you would like to contact this Swimming Pool before dropping by, we only know the phone number. 4, Pantelitsas Panagiotou , Limassol (Lemesos) (Postal Code: CY-4041). Swimmers like you reported 20 meters x 10 meters, 4 lanes, Indoors. Unfortunately we do not have the email address of this Swimming Pool, but we can provide you with the phone number.